Nothing says rugged and pre-human like a desert, and Namibia has two. Intriguing and unusual landscapes come as standard in Namibia. The combination of dunes, canyons and desert coast adds up to much more than the sum of its parts. The raw wilderness of the Namib and Kalahari deserts hide overwhelming natural features such as the world’s second-largest canyon, or the world’s largest sand dune. Experience the contrast of urban and desert life, spot extravagant wildlife - including big cats, rhinos, elephants and zebras - in Etosha National Park, and enjoy the breathtaking scenery wherever you go. There are many wonderful experiences to be had in this magical country. For further inspiration take a look at the trip ideas put together by our trusted local experts at the foot of this page, but in the meantime here are our top three things to do in Namibia. The astonishing red sand dunes of Sossusvlei are perhaps one of Namibia’s most iconic features. Soaring to 400 metres or more, they contrast strikingly with the bright blue sky. 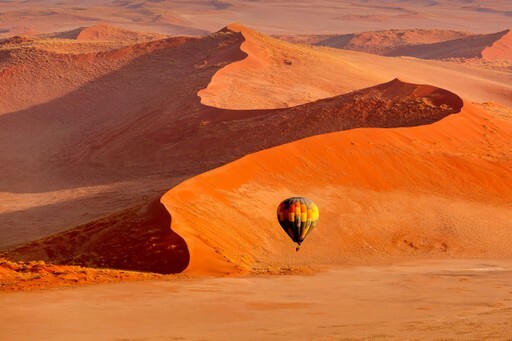 Scale the tallest dune in the area, Big Daddy, or - if you want a truly magical experience - soar over the desert on a scenic hot air balloon ride. Whatever you do, be sure to keep your eyes peeled for perfectly adapted wildlife such as elegant gemsboks and flamboyant ostriches. 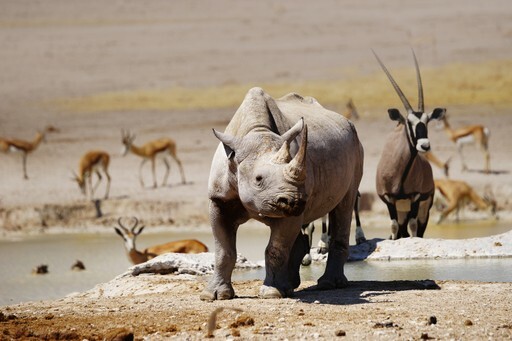 You may look at Namibia and think it is far too harsh an environment for much wildlife to survive. This is not the case. 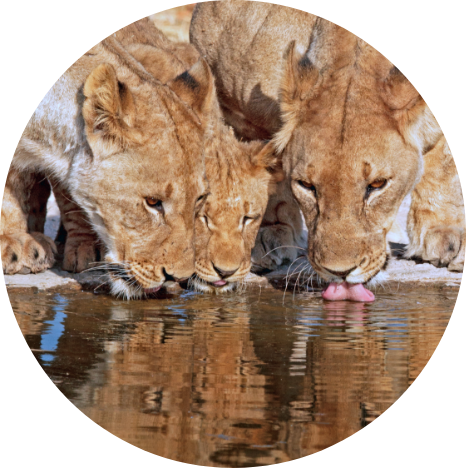 Etosha National Park has over 140 mammals within its borders including four of the Big Five - lions, leopards, elephants and rhinos - as well as giraffes, antelopes and zebras. It is also home to the highest population of wild cheetahs in Africa, the wide open plains suiting their high speed hunting style. A safari here is one you won’t ever forget. 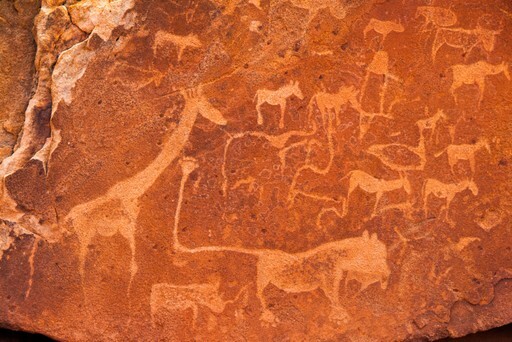 If history is your thing, then head to Twyfelfontein to admire some 2,500 rock carvings and paintings, created by a Stone Age population who are estimated at having lived in Namibia around 6,000 years ago. The artwork hints at a great abundance of wildlife, potentially far more than the now sun-baked landscape could sustain, with antelope, lions, giraffes and elephants galore. When should I visit Namibia? 300 days of sunshine a year make Namibia a year-round option, but there are a few things worth bearing in mind. The summer months from October to February can be pretty hot and the bulk of the country’s rainfall also occurs during this period. Those visiting the north of the nation will want to avoid March due to regular floods. Wildlife viewers should target April to June, when the drier weather brings animals into the open at watering holes. Create your bespoke holiday to Namibia!